Apple Cider Vinegar (ACV), I’ve been drinking it since I was a small child and absolutely love it! It was the first thing my Mother gave me for a sore throat or an upset stomach. Nowadays I always try to incorporate it into my daily routine whether it’s in salad dressings, diluted in my water bottle or straight off the spoon. It’s taste is not for everyone I suppose but I guarantee its benefits are worth it. Studies have shown that consuming ACV with high GI foods such as breads and pastas showed significantly lower blood glucose responses by up 31%. Incase you forgot – high GI foods usually cause blood glucose levels to spike. I guess this means that adding ACV to healthy foods could be even more effective! It is thought that the reason ACV does this is due its naturally occurring compound acetic acid increasing the amount of glucose absorbed by the muscle tissue. This means that less glucose enters your blood stream and it may even reduce your risk of diabetes. Drinking ACV in water can naturally help improve digestion. Take a tablespoon of ACV in a glass of water approximately 15 minuets before a meal to help activate digestive juices and improve the breakdown of foods. Taking this concoction regularly prior to meals is believed to help balance stomach acid thus reducing heartburn, bloating, gas and soothing the entire gastrointestinal tract. Your intestinal flora also known as ‘the good/bad bugs in your gut’ combats for about 80% of your immune system. So it makes sense that improving the conditions in your intestinal tract with ACV improves your immunity by encouraging the growth of good bacteria. The naturally occurring compound in ACV malic acid is also known to be a strong antiviral. There are limited studies in the area of ACV and cancer however there are some positive results suggesting that ACV can help prevent cancer and a few laboratory studies have shown that it may be able to kill cancer cells or slow their growth. It has been found that by adding ACV to your drinking water it can decrease colon cancer and sarcoma (a cancer of the connective tissue). 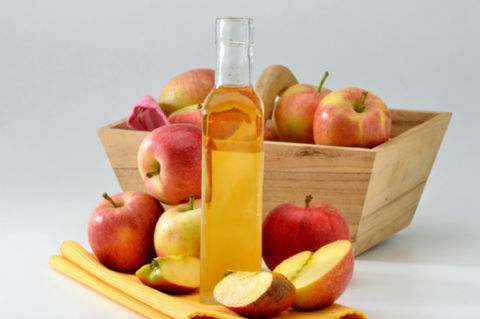 Other studies have also shown that vinegar inhibits the rapid reproduction of human cancer cells and shown significant benefits of reduced risk of oesophageal cancer. ACV can be used for just about anything, you can even use it to help treat burns and other topical wounds due to its antimicrobial properties. In studies it has even shown to speed up tissue repair and speed up muscle recovery after moderate exercise so you might want to take it to the gym! It has also shown to reduce joint pain and it is believed that using ACV on a regular basis may just keep you active. The good news is that ACV is readily available at most supermarkets, grocers and health food stores. Just remember that they are not all equal so be sure to use a raw, organic, unfiltered (‘with the mother’) and unpasteurised variety. They are portable and great for on the go especially in an EcoJar! 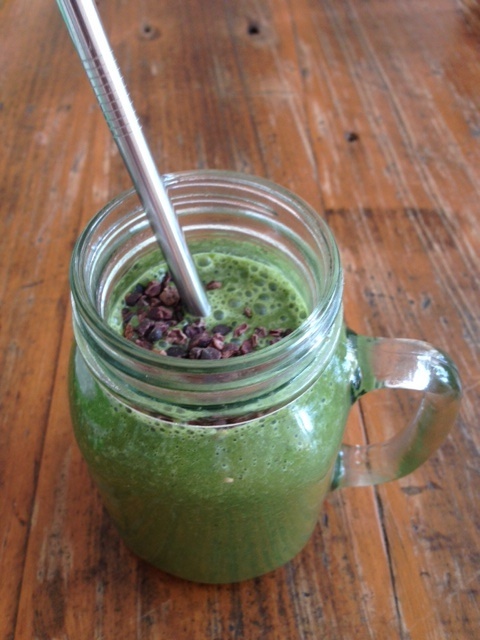 I am obsessed with this green smoothie at the moment is so tasty, refreshing and satisfying. Have it as an on the go breakfast by adding some raw protein or as a fulfilling snack between meals. Blend all ingredients together until well combined. Sprinkle with cacao nibs for the chocolate crunch. Anytime you cook a food you run the risk of creating heat-induced damage. Well, suppose there was a type of oil that is stable enough to resist heat-induced damage and so beneficial that it helps you lose weight, promotes heart health and helps to maintain normal cholesterol levels. Would you choose to use this oil?If you said yes then you will want to get some coconut oil. Naturally, when choosing an oil to cook with you want an oil that will not be damaged by high cooking temperatures. Of all the available oils, in my opinion, coconut oil is the oil of choice for cooking because it is nearly a completely saturated fat, which means it is much less susceptible to damage when it is heated. Although mainstream media portrays olive oil as the healthiest oil, this title does not extend to cooking. Olive oil is primarily a monounsaturated fat. This means that it has one double bond in its fatty acid structure. Although a monounsaturated fat is inherently more stable than a polyunsaturated fat, the overabundance of oleic acid in olive oil creates an imbalance on the cellular level, which has been associated to an increased risk of breast cancer and heart disease. Olive oil is a smart fat to include in your diet in a non-heated form, however. 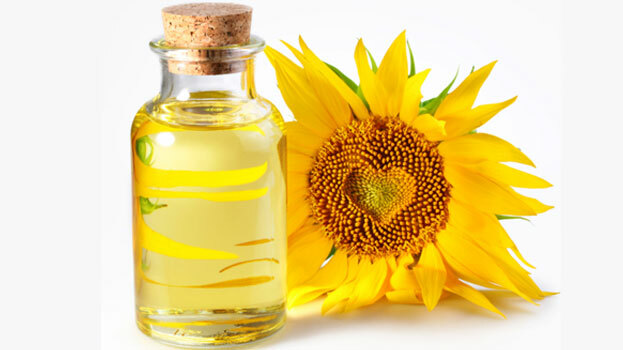 In my opinion, polyunsaturated oils, which include vegetable oils like corn, soy, safflower and canola, are the worst oils to cook with because of the trans-fatty acids introduced during the hydrogenation process, which results in increased dangers of chronic diseases such as breast cancer and heart disease. As you can see in the chart below, coconut oil contains the most saturated fat of all edible oils. Don’t be scared away by the negative view of ‘saturated fat’ portrayed by the media. Many studies have shown that a low-fat diet is not the answer for preventing heart disease, and some scientists are calling for new dietary guidelines that reflect this discovery. So anytime you need an oil to cook with, coconut oil can automatically be used in place of butter, margarine, olive oil or any other type of oil in all types of recipes. However, coconut oil can vary widely in terms of the types of coconuts used, the manufacturing processes used to make the oil, and more, and all of these factors play a major role in the effectiveness of the oil.Most commercial coconut oils are refined, bleached and deodorized (RBD) and contain chemicals used in processing. The best coconut oil to use is extra virgin coconut oil. Of all tree nuts walnuts are the richest in Omega-3, an essential fatty acid which most of us are lacking in our diet. Omega-3 is an essential nutrient, meaning we must obtain it from our food as our body cannot produce it. 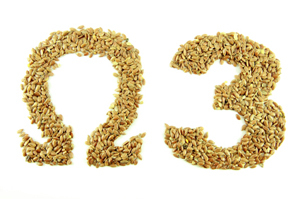 Omega-3 from plant foods comes in the form of alpha-linolenic acid (ALA). The cells within our bodies naturally contain ALA, however we must obtain the Omega-3 externally (from the diet). Other common sources of Omega-3 are from fatty fish such as salmon and tuna. Fish contains Omega-3 in the form of eicosapentaeonic acid (EPA) and docosahexaeonic acid (DHA). 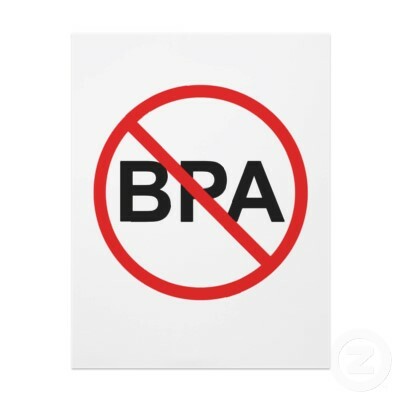 The body partially converts plant and nut based ALA to EPA and DHA. ALA alone is vital for cellular health and is able to carry the Omega-3 to your brain. The benefits of plant or nut based Omega-3 ALA is that you get it all whilst also avoiding potential health hazards from farmed fish, GMO fish and fish containing mercury and other toxins. The importance of dietary Omega-3 for heart health and stroke prevention has been strongly linked and promoted in mainstream medicine for years. Omega-3 has many other benefits including anti-aging properties, anti inflammatory, preventing macular degeneration and other eye problems and cancer prevention. Interesting studies have also been undertaken on people with various brain or mental disorders such as ADD and even schizophrenia, which display low Omega-3 content in their blood. How can I incorporate more into my diet? Made from the left overs of coconut milk, coconut flour is the ‘residue’. It is made from the meat of the coconut, which is dried, defatted and then finely ground to a powder consistency. 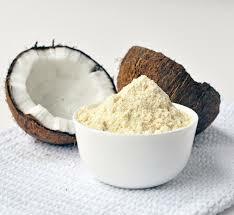 Coconut flour is unlike any other flours as it is 58% fibre! This means it is 4 times higher in fibre than oat bran, 3 times higher than flaxseed meal and 2 times higher than oat bran. Fibre has been strongly linked to aid digestion, promote heart health, reduce cholesterol, aid in detoxification, and protect against colorectal cancer, type 2 diabetes, overweight and obesity and possible overall mortality. Because of the high fibre content replacing coconut flour in place of regular flour in a recipe often doesn’t work out. I suggest using a recipe until you become familiar with it. You will find when baking with it it absorbs a lot of water so the recipe is often a batter texture. Coconut flour can be used for pancakes, breads, cookies, muffins and just about anything. It also makes a great crumb alternative for vegie burgers, meats or fish. Try delicious bread recipe below..
Juicing is not only delicious but a powerful tool to help energize the body and help you on your way to radiant health. The Australian dietary guidelines recommend for women over 18yrs to have a minimum of 5 serves vegetables/day and men over 18yrs a minimum of 6 serves/day, aswell as an addition 2 serves fruit per day. Few of us actually meet this on a regular basis so juicing is a simple and easy way to ensure you reach these daily targets. I like to think of freshly extracted vegetable juice as liquid vitamins and minerals. The nutrients are in a simple form and easily absorbed directly into the body replenishing our cells. By juicing vegetables you are removing the fibre meaning the uptake of all the nutrients is a lot faster and more readily available. Everyone has different taste preferences and may selectively excludes particular vegetables, by juicing them it enables you to hide them amongst the ones you do love to ensure you are getting a wide variety. This is especially good for kids! Worried about juice being high GI? Try adding lemons; the naturally occurring acid found in lemons lowers the GI of the juice meaning that the fruit and vegetable sugars will be released more slowly into the blood stream. 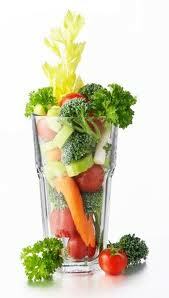 Vegetable juice is not a complete meal as it has little protein and virtually no fat. So I would recommend it as an addition to your regular meals. It is also important to remember that is very concentrated so don’t go too overboard, a small glass is usually sufficient. Start by juicing vegetables that you enjoy eating whole, the juice should be pleasant. Gradually add in other vegetables and experiment with your own combinations. Then try adding in some extras such as ginger for a great kick, turmeric to bring it back to earth and fresh mint for some soothing freshness. This powerful member of the onion family is commonly known to promote health and prevent disease. Garlic is high in ‘allicin’ which has been strongly linked to having a disease-fighting effect. 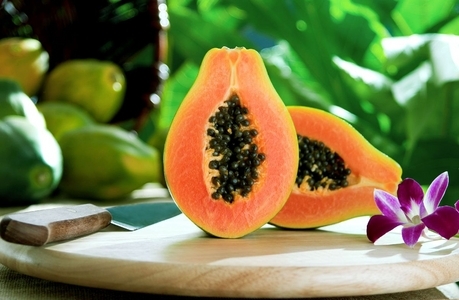 This powerful antioxidant compound helps scavenge free radicals and helps reduce inflammation. Garlic as a whole has also been strongly linked to prevent and treat respiratory disease, bacterial, fungal, viral, and parasitic infections. Sweet potatoes are a rich source of both vitamin A and C and are another essential immune boosting food. Sweet potatoes are one of the most effective foods fro boosting glutathione levels in the body. Glutathione is often referred to as a ‘master antioxidant’, as it plays a vital role in detoxifying cells and fighting free radicals. Sweet potatoes are also rich in vitamins and minerals that support healthy skin. The skin is the body’s largest organ and our first line of defense against harmful bacteria, viruses, and other pathogens. Mushrooms have been traditionally used for many years in Chinese medicine for their incredible ability to strengthen the immune system. Mushrooms of all sorts including button, reishi, maitake, shiitake and oyster mushrooms have all been strongly linked in research to possess unique immune boosting properties that make them a worthy addition to your diet. 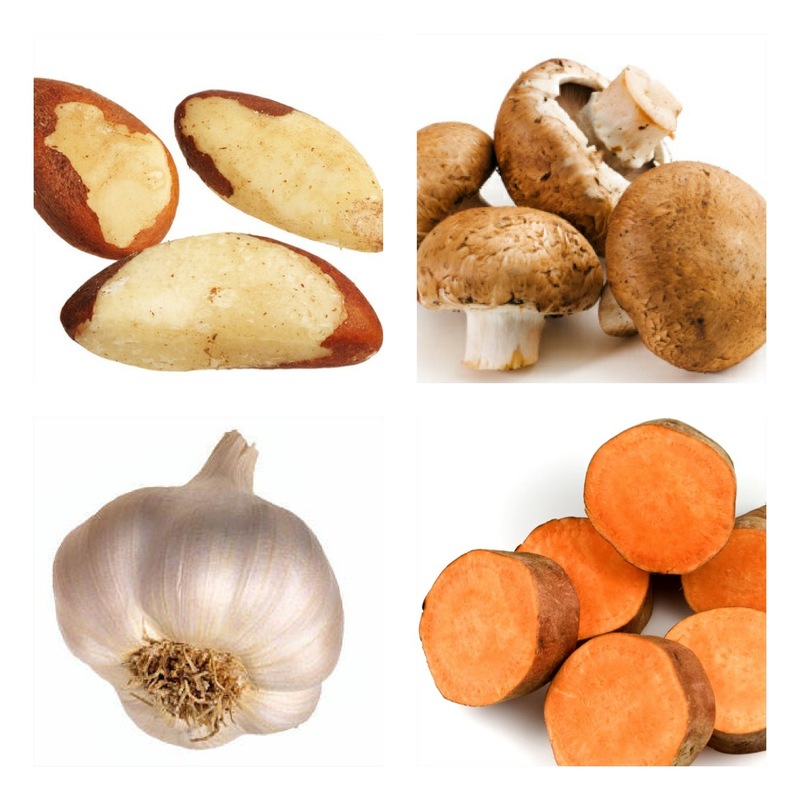 One of nature’s richest sources of selenium, a vital mineral for immune function. Brazil nuts are distinctively beneficial in promoting a healthy immune system. Selenium has been strongly recognized for its ability to stimulate the production of ‘antibodies’, the body’s army that detects and destroys invaders like bacteria and viruses. Selenium also plays a role in the production of glutathione, which as mentioned above boosts the immune system. Try incorporating more of these foods into your diet as we come into the winter months and naturally boost your body’s immune system.